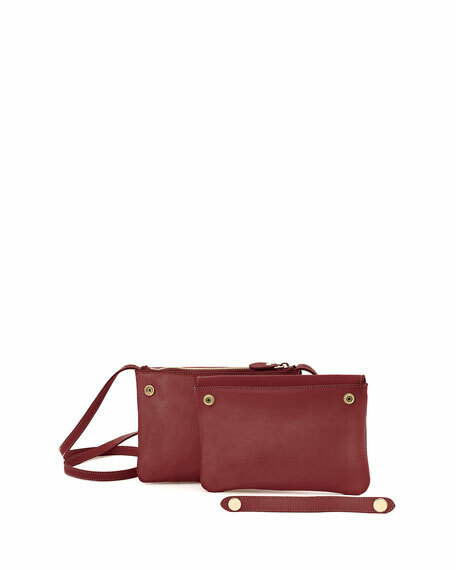 Mansur Gavriel calf leather crossbody bag. 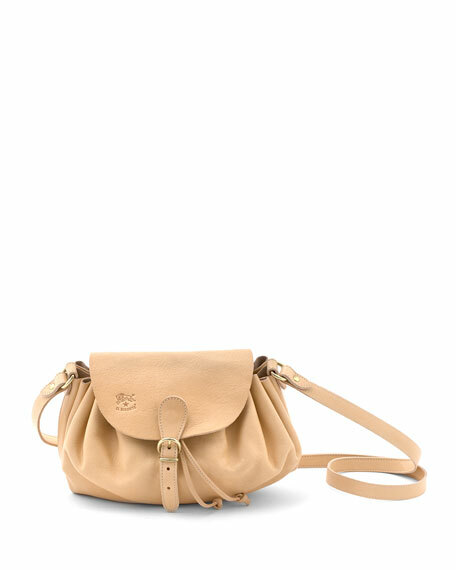 Adjustable crossbody strap; 20" drop. Canvas lining; one open pocket. 7"H x 9"W x 2"D; bag weighs 1lb. For in-store inquiries, use sku #1510021. 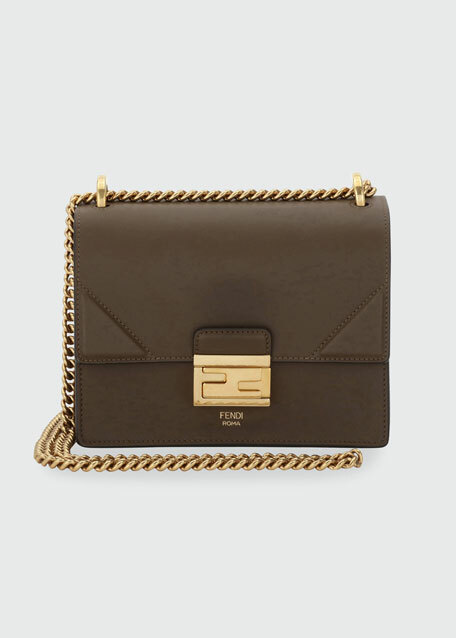 Fendi smooth matte leather crossbody bag with golden hardware. Sliding chain shoulder strap. Flap top with push-tab closure. Logo at center front. 5.1"H x 7.5"W x 3.5"D. Made in Italy. 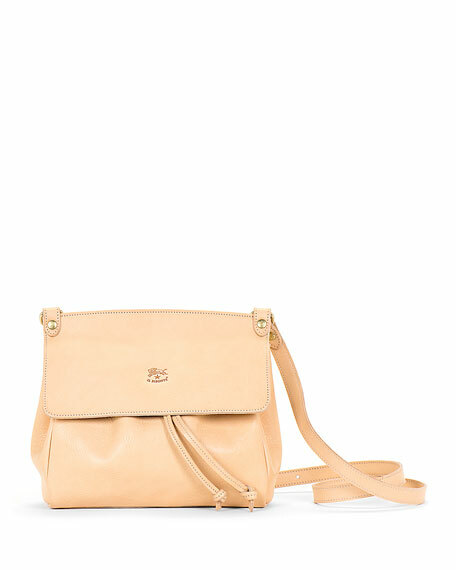 Il Bisonte large crossbody bag in cowhide leather. Approx. 7.1"H x 8.7"W x 3.5"D; shoulder strap, 18" drop. Flap top with drawstring closure. Logo embroidery on front. Interior cotton lining. Made in Italy.